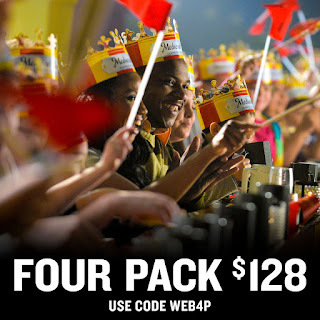 If you've been reading my blog for any length of time, then you're probably aware of how much our family loves Medieval Times. And while we've visited a few of them around the country, our all-time favorite has always been the Schaumburg (Chicago) Castle. We always walk away as thrilled as if we'd just seen the show for the first time! So, I'm excited to share this great deal with you, my readers. For one low price of $128.00, you will receive four admission tickets, which includes a four-course feast, 2 rounds of select beverages, and the 2 hour show! You can't beat that price-bring the whole family along for some action-packed fun! To take advantage of this special offer, use the code BLOG4P at checkout. 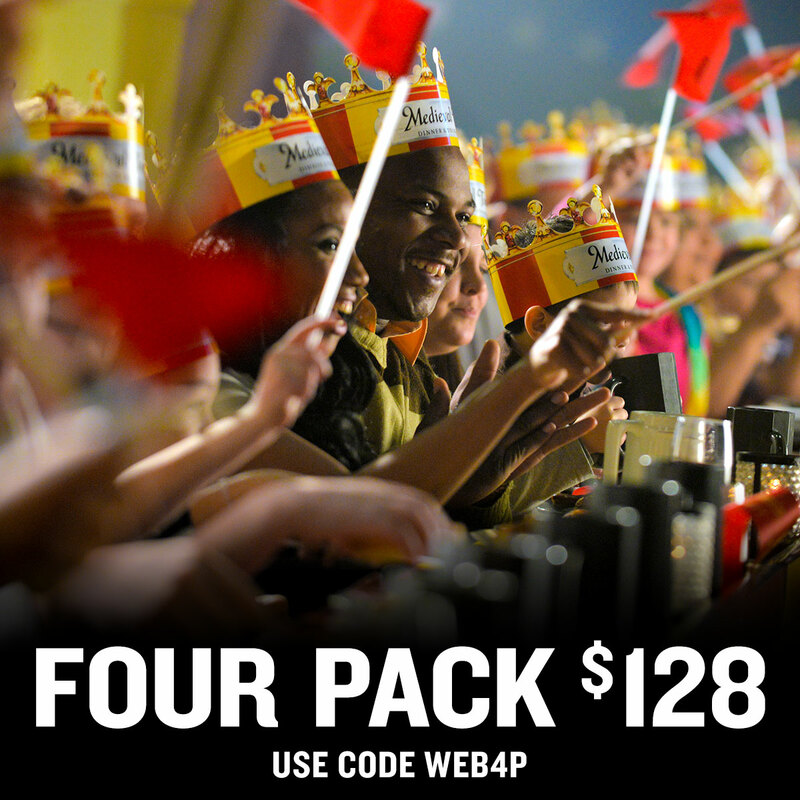 This offer is good for the Chicago Castle only, valid for shows through 9/30/15. And, if you attend before July 31, Medieval Times is hosting Knight Training, where your kids can actually go down into the arena and train with the knights!! So go ahead and make your plans, order your tickets at this super-low price, and get ready for some fun the whole family will enjoy! Perfect for a birthday, anniversary, back-to-school party, or just because!